Ross Fisher produces an incredible shot from the trees to set up a birdie chance during the opening round in Turkey. 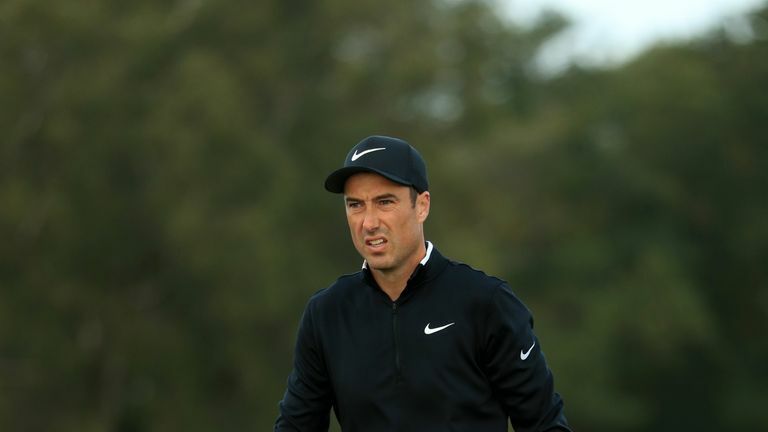 Ross Fisher was unable to capitalise on making a birdie-of-the-season contender during the opening round of the Turkish Airlines Open. Fisher sits eight strokes off the pace after a one-over 72 at Regnum Carya Golf Resort, where he produced a remarkable recovery from the trees. The Englishman bounced back from a bogey at the eighth with a birdie at the next to reach the turn in level-par, before hitting his drive at the par-four 10th wide of the fairway and deep into the trees. Left facing a wild cut through the various trunks to try and get his ball back in to play, Fisher delivered a beauty to clear the trees and also safely negotiate the water hazard protecting the green. Fisher's ball finished no further than eight feet from the pin and rolled in the subsequent birdie putt, although went on to bogey his next two holes. Click on the video above to see Fisher's tree magic!